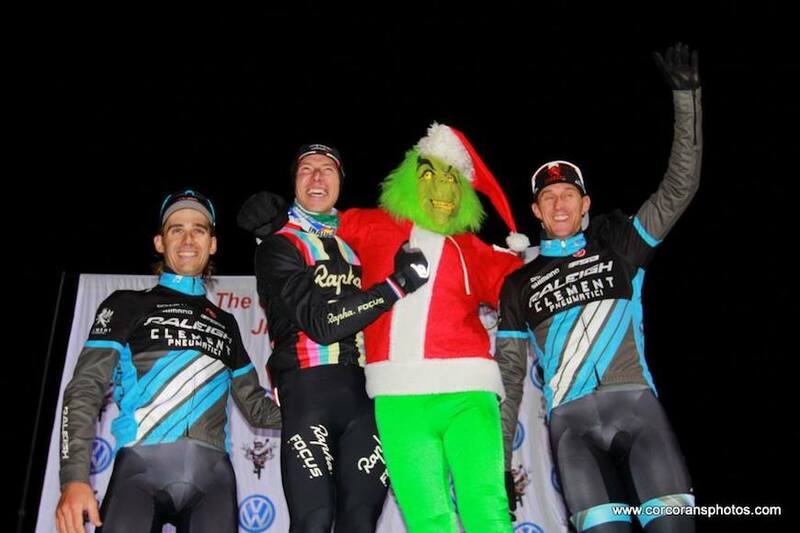 Ben Berden & Jamey Driscoll stand on the podium with the Grinch. Even though Christmas is still six weeks away, the Raleigh-Clement Cyclocross Team spent the weekend at a holiday party that included mud, bikes and the Grinch for the annual Jingle Cross weekend in Iowa City, Iowa. What started as a small grassroots race with a Christmas theme has now grown into one of largest race weekends of the year, with three days of events, plenty of riffs on the story of the Grinch and all profits donated to the University of Iowa Children's Hospital. Held on the Johnson County Fairgrounds, the three courses over three days all climb the feared Mt. Crumpit, a steep and unforgiving hill packed with spectators and slippery mud. Each day takes a different route up and down the hill, but there's no easy way to overcome the Grinch's lair. 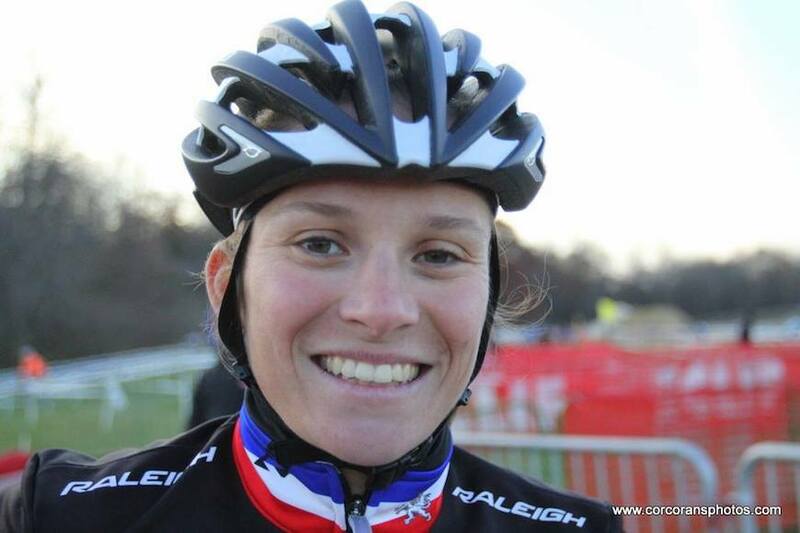 Team Raleigh-Clement is on the tail end of a month-long tour of the Midwest, having tested themselves in 10 races over four weekends in St. Louis, Cincinnati, Kentucky and now Iowa. Like a cyclocross stage race, the three days of Jingle Cross are a major physical challenge for the team. Luckily, there's an omni-present guy running around in a Grinch costume to keep riders smiling. Caroline Mani smiles after her solid finishes. The racing was tight and there would be no Christmas gifts for the peloton. Top-ranked Katerina Nash won all three women's races, showing no mercy as she trounced the field every time up Mt. Crumpit. Caroline Mani was consistent, finishing ninth, seventh and ninth. Teammate Rebecca Gross finished 16th, 14th and 19th. 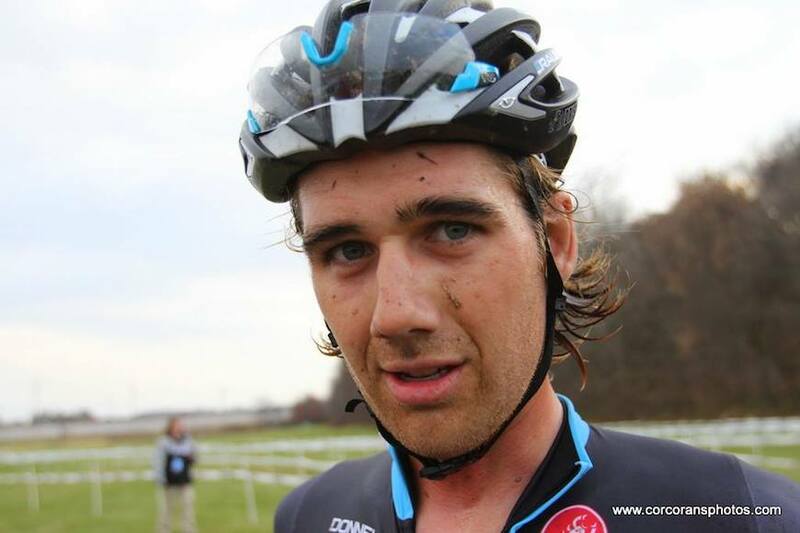 Jamey Driscoll finished in third place in the first Jingle Cross race, tying his best result all season. Ben Berden led the men's team with rock-solid consistency, placing second, second and third. Teammate Jamey Driscoll had a phenomenal weekend, as well, finishing third, sixth and fifth. Allen Krughoff placed sixth and 10th, resting his legs on day two. Jeremy Powers won days one and two, with Tim Johnson taking day three. After the races, Ben stated matter-of-factly, "Every day there was somebody better. And my back hurts so bad from that stupid Mt. Crumpit!" An exhausted Ben Berden after three podium finishes. 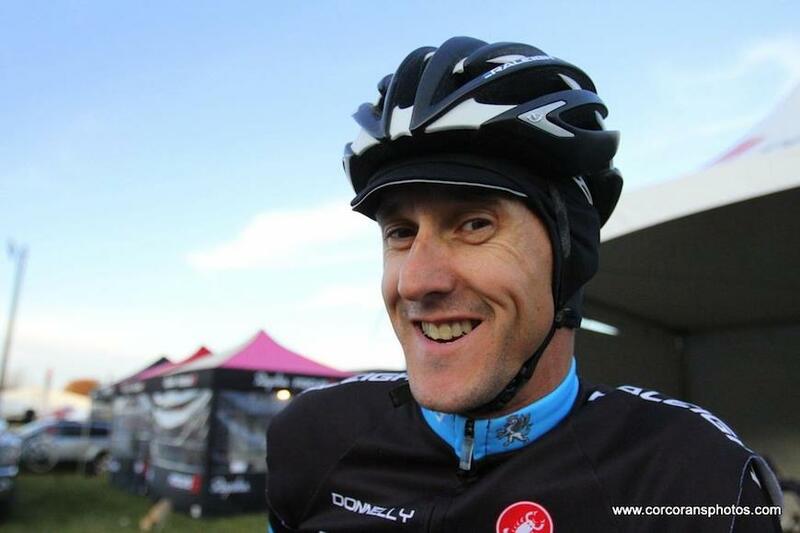 Singlespeed specialist Craig Etheridge was back with the team this weekend and took second and third in the singlespeed races. "I've been prepping for Jingle Cross all year by listening to ‘You're a Mean One, Mr. Grinch,’ while doing my intervals,” said Craig. The team takes a much-needed rest next weekend and will pick up the racing again at the end of the month in Los Angeles. From there they will head to Bend, Oregon where hopefully they'll find some snow!